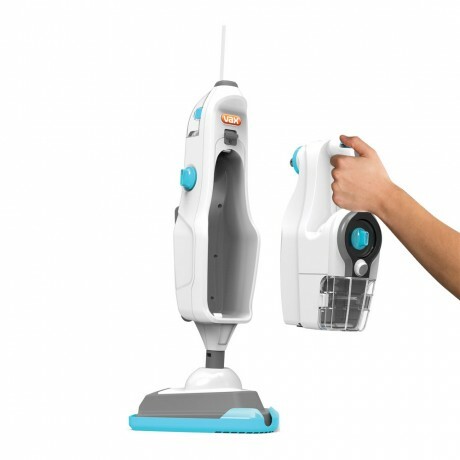 The Vax Steam Fresh Combi is an upright 2 in 1 steam cleaner with a detachable handheld for total home cleaning. 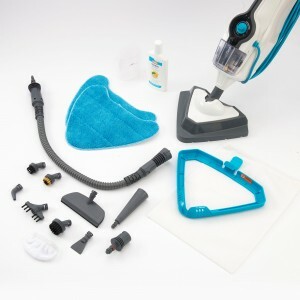 It comes with a 10 piece accessory kit which contains tools for 15 different house cleaning tasks. With the 10 piece accessory kit you are able to clean floors and above the floor. 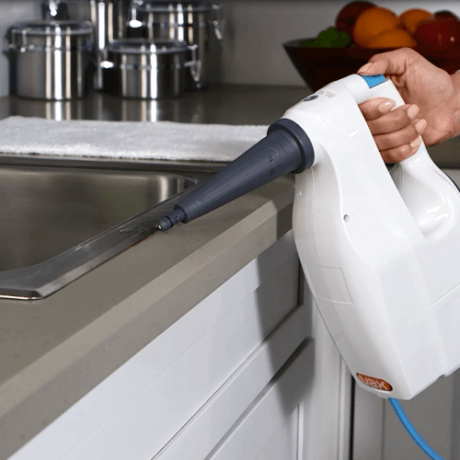 You can successfully clean ovens, taps, tiles, kitchen surfaces, hobs, grout, windows and more at your own convenience. 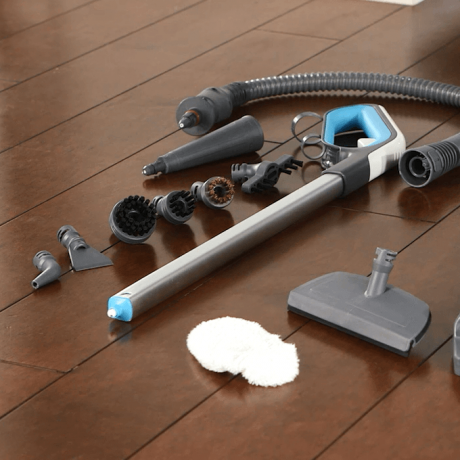 This ensures you are able to complete a total home clean with ease. 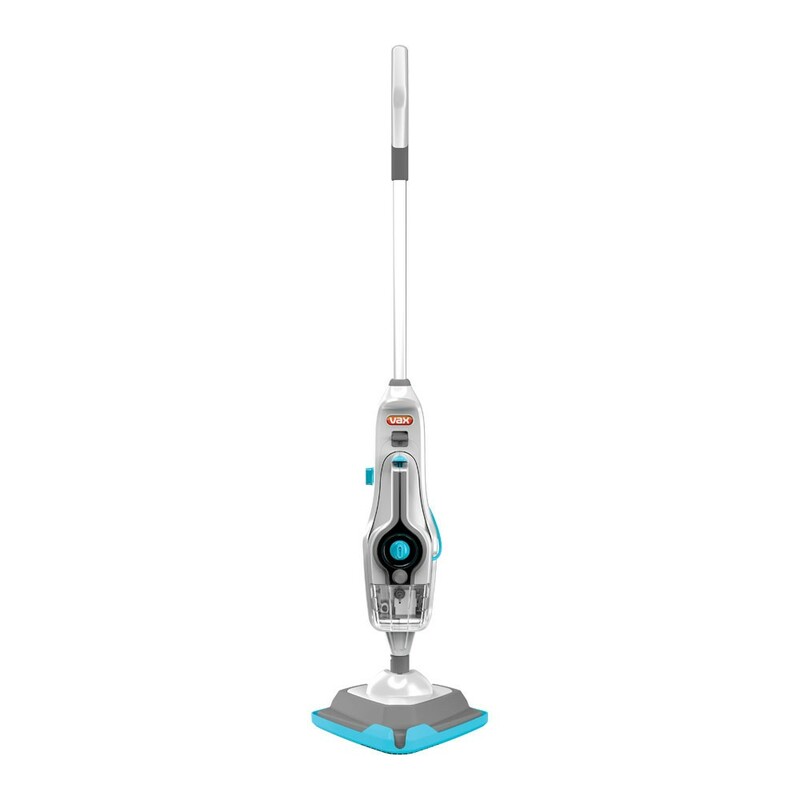 Thanks to the Steam Fresh Combi's variable steam functionality you can tailor the steam cleaning power to the type of floor or surface you have and is great for penetrating deep into stubborn grime. 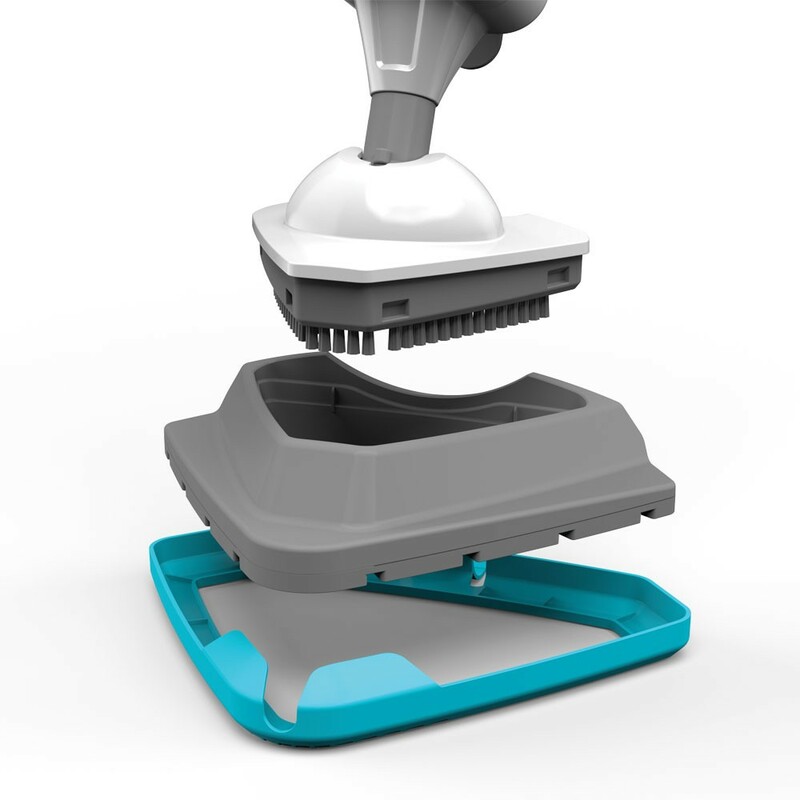 A built in compact scrubber brush that pops out with ease is sure to remove any tough stains from your floor and grout. This brush does all the hard work and scrubbing for you, making every day cleaning tasks easier and more time efficient. Using detergent with steam helps break down grime faster than with steam alone (tested on four different substances and floor types treated with Vax steam+ detergent) Steam + detergent tackles stubborn dirt and stains and leaves the room smelling fresh.You have the option to turn the detergent on and off at your own convenience. 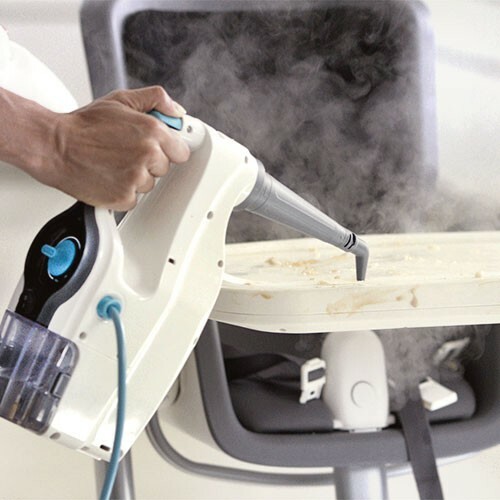 Heating up in less than 20 seconds, the Steam Fresh Combi delivers up to 15 minutes of cleaning time and leaves floors and surfaces dry within a matter of minutes, making this steam cleaner perfect for use in homes with children and pets. 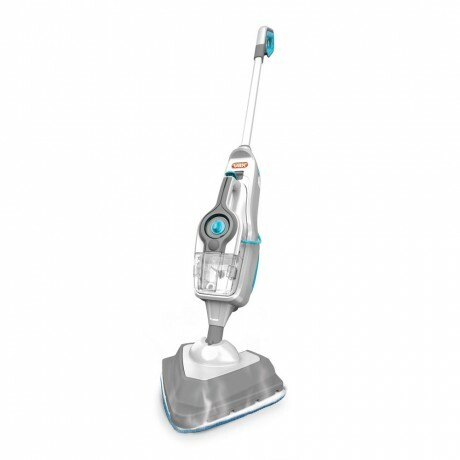 Vax Steam Fresh Combi Steam Cleaner is rated 3.6 out of 5 by 12. Rated 1 out of 5 by Heather1 from Rubbish I got this mop for Christmas 2015. I had a steam mop before for years a Kenwood. This mop doesn't clean my floor. You have to hold down the button on the handle to make steam BUT you can;t hold the button continually so the steam stops.Also the steam detergent is useless. The mop was very expensive as well. I hate this mop. Can't wait for it to break. Rated 1 out of 5 by GarryD from Dud Swapped it for the Bissell. The handle snapped in half on the Vax after two months. The pads are hopeless. The detergent they supply leaves streaks. And holding down the trigger on the detachable handheld unit is a pain. Get the HN Product Care is my advice if you're buying this product... So you too can swap it for a better one when it breaks. 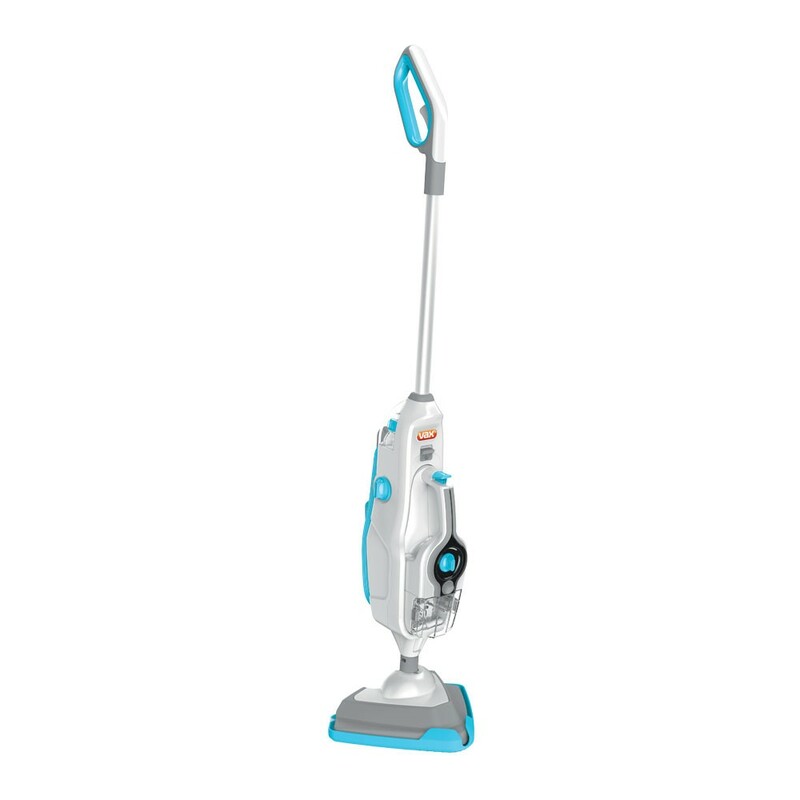 Rated 5 out of 5 by tobytinribs from Great easy to use steam cleaner I purchased this cleaner 4 weeks ago to help deal with allergy and dust mite issues. 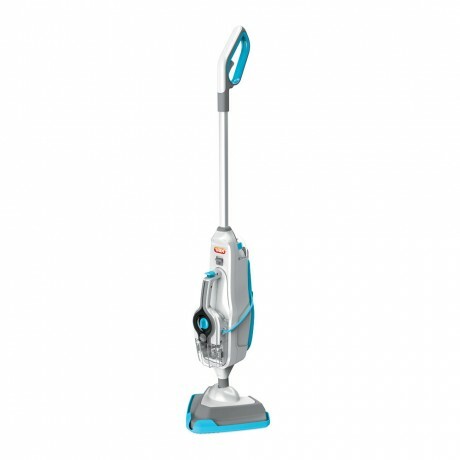 This cleaner can be used for carpets, floors and any area in the home you can think of. The detachable hand held unit is great for hard to reach locations and also for smaller jobs. Comes with many accessories so you can clean anywhere in the home. Rated 5 out of 5 by BeeBee2 from Love it. Been using my vax for a few weeks now. Love it! Don't know how I lived without it. Rated 1 out of 5 by Emlily27 from Not worth the price at all. Broke twice so we got a refund to choose another. Would not recommend to anyone. Rated 5 out of 5 by Souths23 from Fantastic for all types of floors so easy to use and very good with the attachments. Rated 5 out of 5 by Lobo from It's a breeze! I bought the Vax combi steamer about 4-6 weeks ago and have not regretted one bit. I bought this very reluctantly after my previous steamer broke and it was iunsafe to use. The VAX VX24 combi steamer is fantastic. 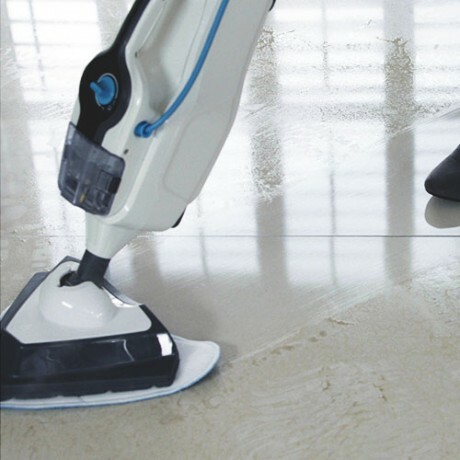 It is easy to use and the floors look so clean. I love that the cord is long too. I wish I had the option to buy extra steam pads and the detergent too though. Hi, can I use essential oils in the Vax steam Fresh Combi? Hey guys I got this for Xmas ... I&rsquo;m having problems with the cleaning pads staying on? They don&rsquo;t grip to the machine ... yes, I&rsquo;m using the blue side with the white on the floor? Where is the serial number for this model. Cant register without it.